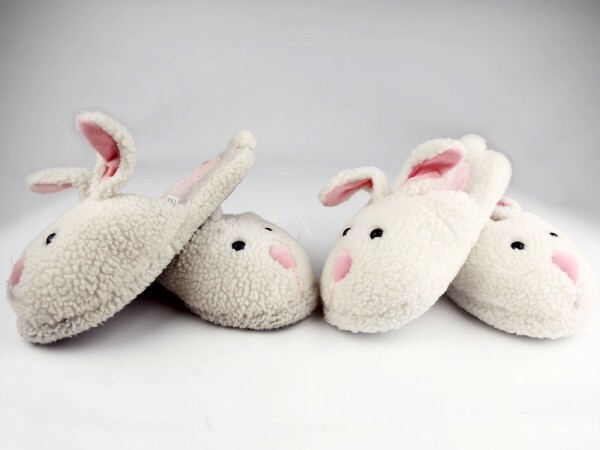 Sooooooooooo, you bought a pair of our classic bunny slippers. And, naturally, you love their adorable countenance and plush, comforting fit. 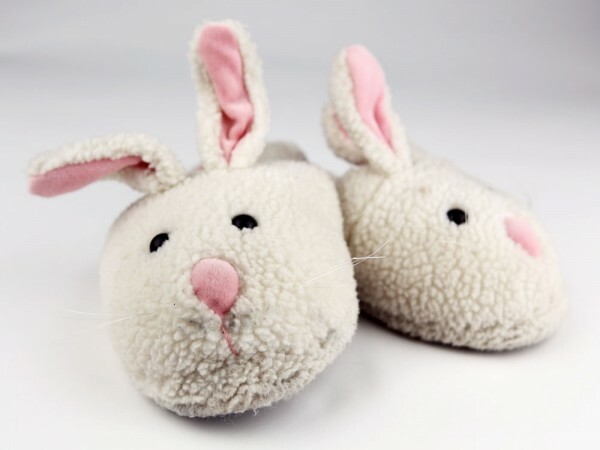 Over time and with use, though, you’ve noticed that your bunnies are morphing into dust bunnies; what was once a pristine white hue has lost some of its luster and given way to a grayish shade, all of which naturally begs the following question: can my bunny slippers be laundered? And safely at that? Well, your friends at Bunnyslippers.com are happy to report that, yes, yes they can! 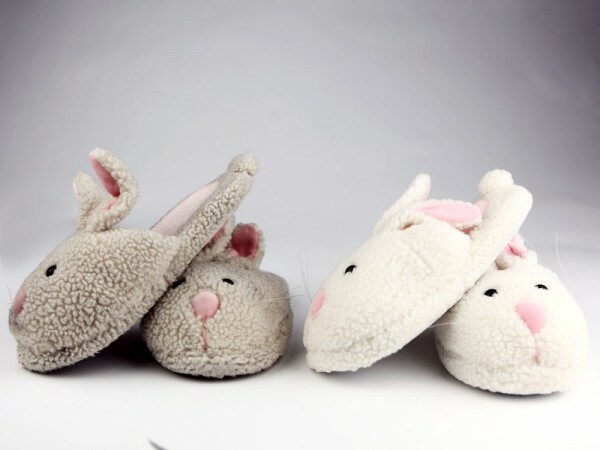 The classics are made of a fluffy acrylic bunny body and a soft polyester terry footbed which features cushioned construction and bunny footprint sole. The pink bunny ear lining is poly flannel. 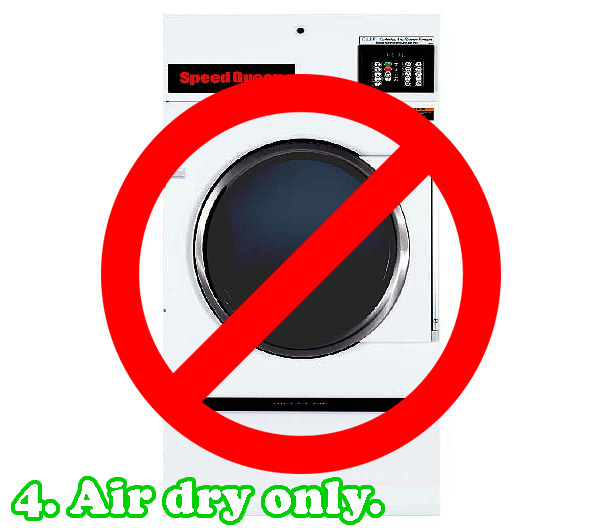 Surface scrubbing them by hand with mild detergent and warm water is the optimal method, but they can be washed mechanically. Below, we’ve listed our tips, along with some helpful pictures, for doing so. Take the following pair, on the left, which was worn at home for roughly 18 months. For easy reference, we’ve placed them side-by-side with a brand new pair. Gross, yes? Well, let’s change that. Step 1: Add your bunnies to the wash, alone or with other light colored fabrics. If you have a mesh laundry bag, put them inside for an added degree of safety (optional). 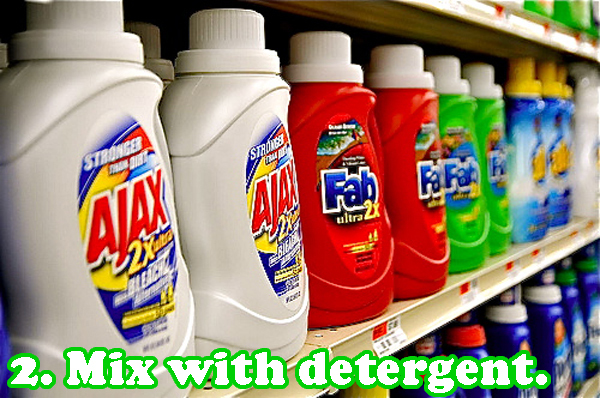 Step 2: Mix with one dose of any standard laundry detergent. 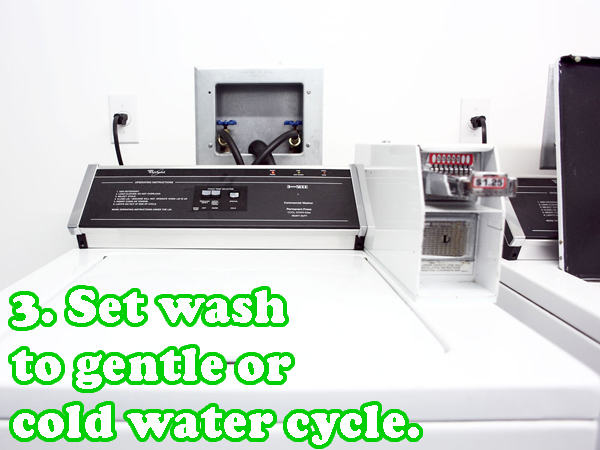 Step 3: Set wash to gentle or cold water cycle. 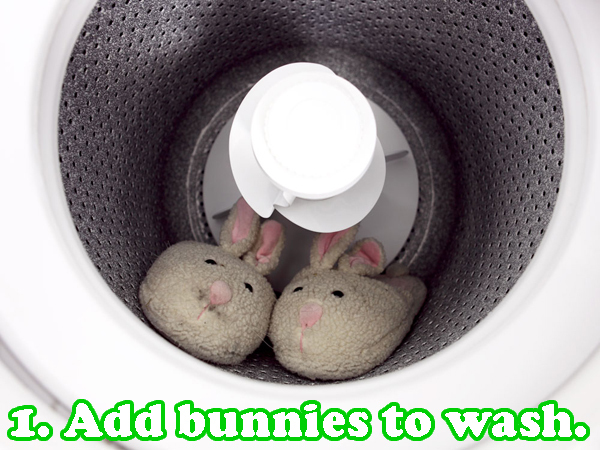 Step 4: When the wash cycle is complete, pull the bunnies and let them air dry. 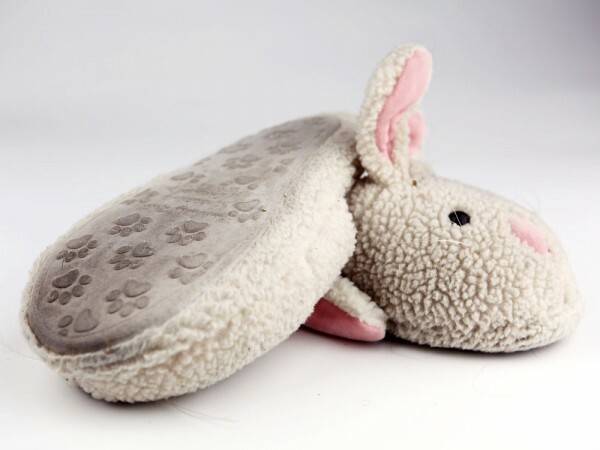 Whack the soles together a few times to fluff them up; likewise, you should also reshape the ears. And with that, you have successfully refreshed your bunnies! Let’s examine our results below. You can see that the white is much brighter than before. Here are the newly cleaned bunnies, matched up with a new pair. MUCH better, yes? This entry was posted in Animal Slippers, Bun Fun, Cute!, Famous Rabbits, Rabbit Memes on July 20, 2011 by BunnySlippers.